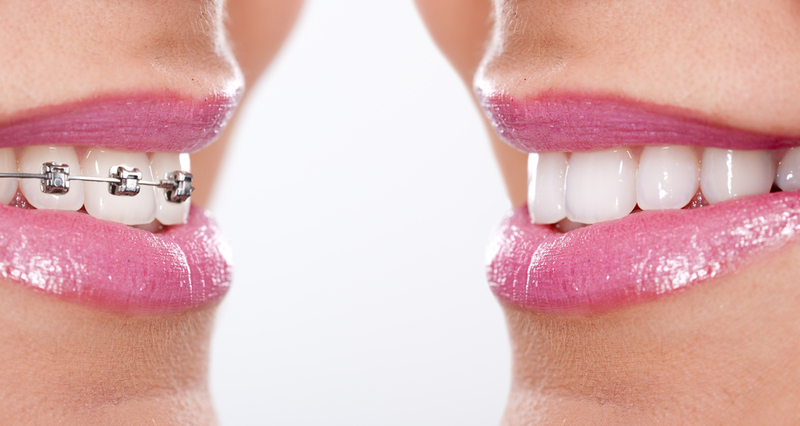 Cooked, crowded, or misaligned teeth can compromise the appearance of a healthy smile. But did you know that these issues can also cause excessive stress on the teeth, leading to more serious problems, such as temporomandibular joint (TMJ) disorder, tooth erosion, and even sleep apnea? Dr. Timothy E. Mickiewicz offers treatments in traditional orthodontics to align the teeth for a function, healthy, and beautiful smile. We offer orthodontic treatment for patients of all ages. Because our office is situated directly across the street from Sutter Middle School, we see many students and parents. These patients enjoy the convenience of our location, as they can easily schedule appointments before and after school. No matter what your age, we can help you achieve the smile you desire. The American Association of Orthodontists recommends taking your child for their first orthodontic screening around age seven. Because many permanent teeth have erupted by this point, it is an excellent time to identify any potential problems. 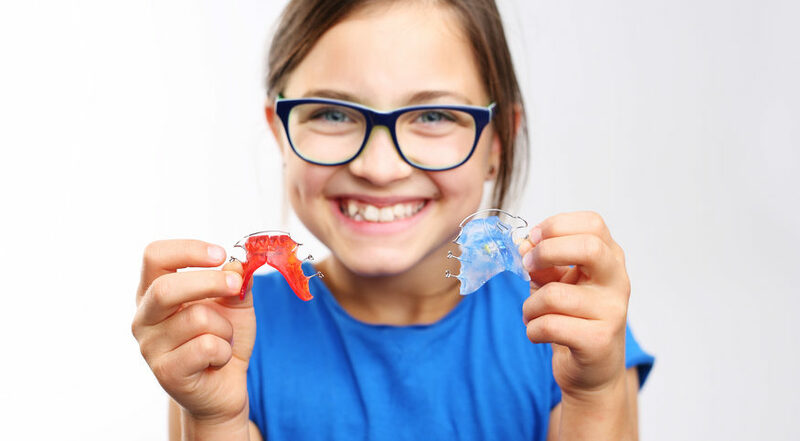 If misalignment or malocclusion is due to a skeletal factor, the issue is much easier to correct while your child’s jawbones are still developing. In some cases, postponing treatment could mean more costly and extensive procedures later on. Many children will not require orthodontic treatment until they are older – around the age of 11 or 12. In these cases, Dr. Mickiewicz can simply monitor your child’s growth and development until the appropriate time. Generally, permanent teeth are fully erupted by the age of 12. Exact treatment recommendations will depend on your teen’s specific needs. However, it is common for patients to begin orthodontic treatment between the ages of 12 and 16. Teens are unique. They are not children anymore, but not adults yet, either. Their appearance plays a significant role in self-esteem and confidence. While many teens like the idea of straightening their teeth, some are concerned about the social implications of wearing braces. That is why we offer different options at our practice. As your teen prepares for orthodontics, we will help you find a treatment solution that will keep everyone happy. Braces are not just for children and teens! Now more than ever, adults are taking advantage of orthodontic treatment. Many simply wish to enhance the appearance of their smile, while others want to improve their bite function and overall oral health. No matter what your motivation for treatment, we have options for you. Dr. Mickiewicz can help you find a solution that will fit in with your busy schedule and budget. Traditional metal braces: Probably what you think of when you picture braces, the traditional type is comprised of metal brackets, wires, and bands. These elements work together to gently move your teeth into their new, desired positions. Made from surgical steel, today’s braces are far more sleek and elegant than their older counterparts. Braces are incredibly effective for correcting a wide array of orthodontic issues, both mild and severe. Invisalign®: For teens and adults who want a more discreet version of orthodontic treatment, Invisalign could be an option. In contrast to metal braces, Invisalign moves the teeth using a series of removable plastic trays. Because the aligners are virtually invisible, most people will not be able to tell you are straightening your teeth. Learn more about Invisalign here. AcceleDent® Optima™: “Is there a way to make my treatment go faster?” This is a question we hear quite a bit. Fortunately, innovations in technology have made it possible. AcceleDent can accelerate your treatment by up to 50 percent! This revolutionary device can also make your orthodontic treatment more comfortable. Learn more about AcceleDent here. If you are considering orthodontic treatment for yourself or a family member, Dr. Mickiewicz can help. To schedule a consultation or get answers to you questions about braces and other orthodontic appliances, contact our Sacramento, CA dental practice today.